Celebrate Galentine's Day with a My-Gal-Rita! So, who here is a fan of Parks and Recreation? (Insert redheaded-girl-with-hand-up emoji here). Could you be the Leslie Knope to my Ann Perkins? Or maybe you are more of the bacon to my Ron Swanson type; either way I think we could be really breaking the ice here! And thinking back, one of the best lessons that Leslie taught me is that February 13th is the best day of the year. That’s right; I am talking about Galentine’s Day my friends. The one day of the year reserved for the ladies to celebrate ladies in your favorite way. Leslie and her gal-pals loved to enjoy brunch and presents and I cannot think of a better way to share the love with your besties then delicious waffles to eat and drinks to clink. Whoo hoo ovaries before brovaries (sorry boys)!! 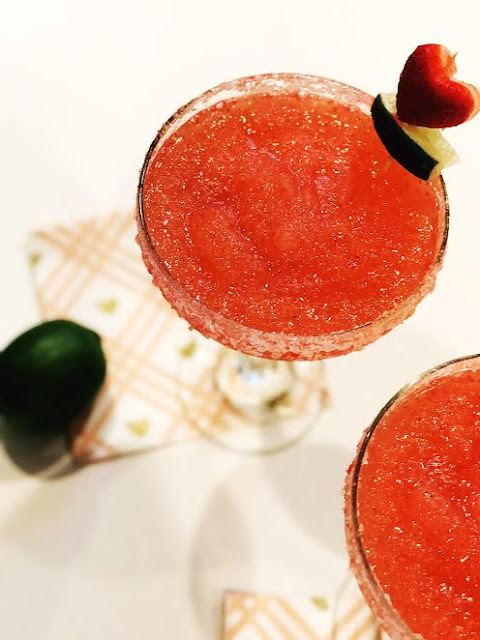 To celebrate this wonderful holiday and show the ladies you love them in true Leslie fashion, I will be sharing my My-Gal-Rita (Margarita) recipe with you. So break out your most unique and fun margarita glasses to fill up and cheers to all the amazing things you will do together over this next year to give all the other people out there squad goals to look up to! 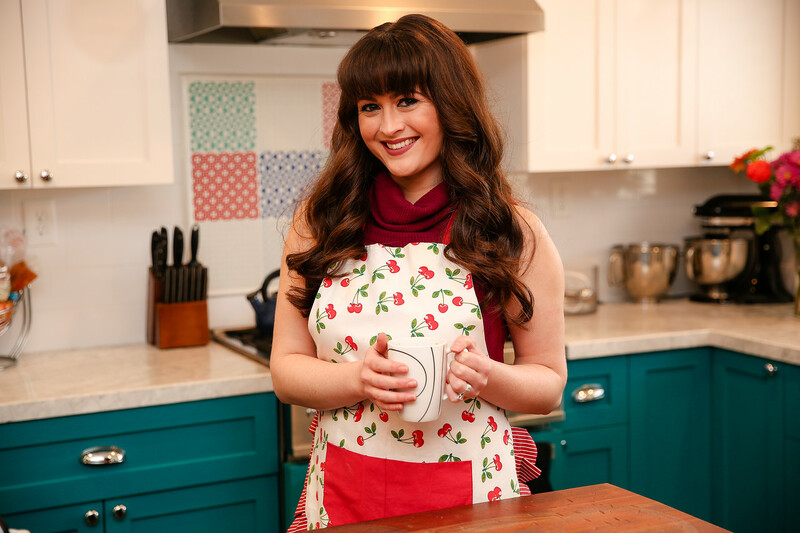 This fruity, fun and refreshing drink will not only pair well with your favorite brunch foods it will also fill you with homemade love and happiness. If you are like me, events like these where you can gather with all the ladies who have helped keep you sane and supported really means the world and can exponentially refresh your motivation to tackle the world. When you have friendships like Leslie and Ann do, you feel empowered to do anything you set your mind to. So, look out, Galentine’s Day is here and we shall be fierce and fueled by My-Gal-Ritas! In a bowl, combine pink or red food coloring with rim salt and stir until combined, then set aside. Cut strawberries in half after taking the leaves on top off. 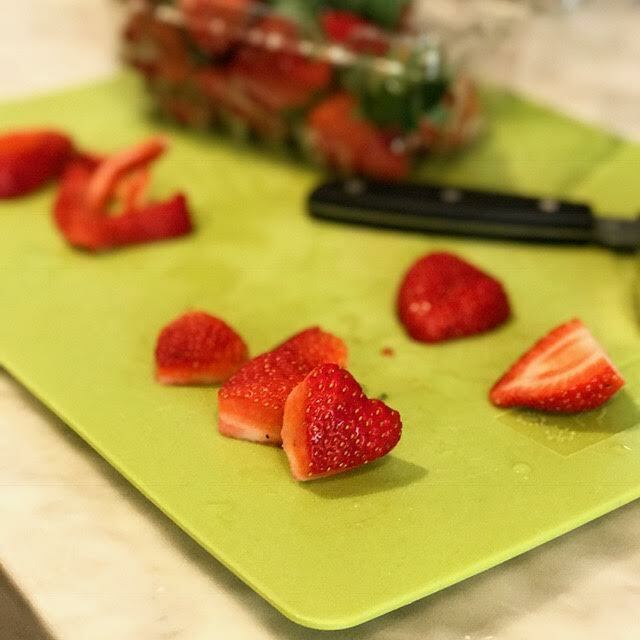 Using a heart-shaped cookie cutter, press firmly into two of the halves of strawberries to make a heart shape to use for the garnish. Place the rest of the halves and leftovers into a blender. Cut one of the limes into fourths for the garnish. Cut the other lime in half and squeeze the juice into the blender. Add the tequila, sweetened lime juice mix and ice to the blender. Turn the blender on the blending setting until the mixture is smooth. Take your margarita glasses and use one of the lime wedges to run around the rim of both cups to lightly dampen it. 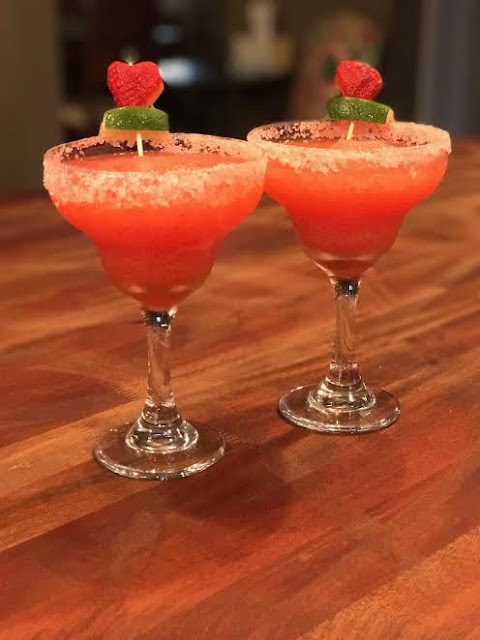 Take the glasses and place them upside-down in the salt to create the salted rim. Pour the blended margaritas into your prepared glasses. Top the margaritas with a splash of Chambord Liqueur. Create a garnish for the glass by sticking a toothpick through the heart-shaped strawberry and adding a lime wedge underneath it. Place it in the margarita to finish it off. Enjoy with your favorite Galentine! I hope you have an absolutely fabulous Galentine's Day with all of your best gal pals. If you have another drink that you enjoy with friends, be sure to comment below so I can test it out. Cheers! Thank you for stopping by! I will have to make you one next time we are together :). Hump Day Quickie: My Face is Numb!